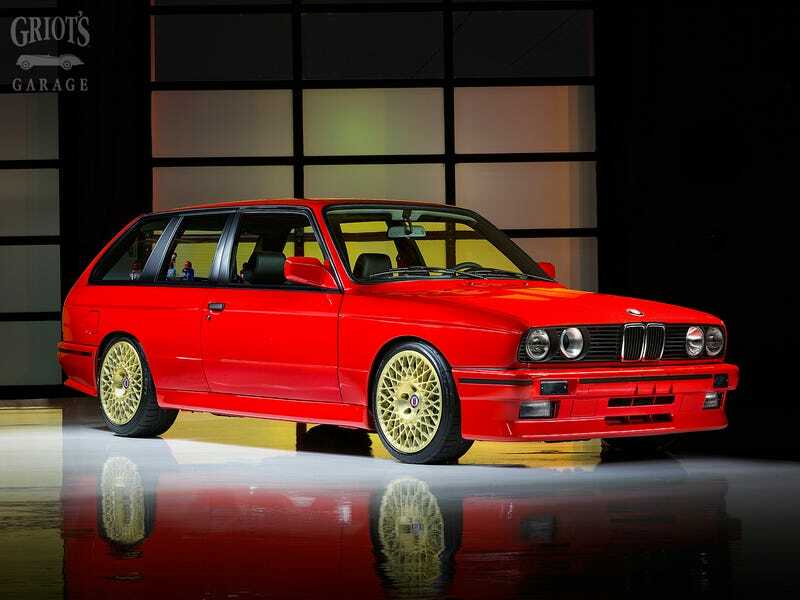 For SEMA, Griot’s Garage made what they’re calling the “world’s fastest detail wagen.” It’s a 1989 BMW E30 Touring with E30 M3 cosmetic bits and doors, and an M60 V8 from an E39 540i. It’s got a water tank and hose in the back to (theoretically) detail other cars. Ditch that part and gimme gimme gimme.